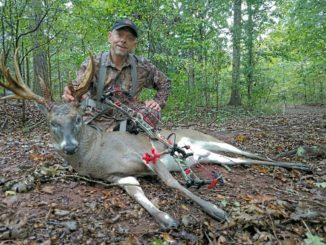 Aaron Summitt of Chester is not only an accomplished bowhunter with several whitetail racks easily eligible for the South Carolina Deer Records List, he is now an outspoken advocate for using a safety harness in a tree stand. With good reason. 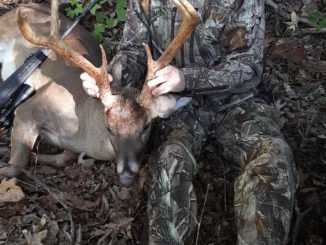 For Lathan Peterson of Taylorsville, N.C., his annual trip to the Caswell County Game Lands for opening day of muzzleloader season proved to be a successful hunt when a brute 11 pointer stepped out of the brush. But, his piercing phone alarm sounded off unexpectedly from 20 feet up in his tree stand, almost spoiling his morning hunt. The N.C. Wildlife Resources Commission, along with N.C. B.A.S.S. 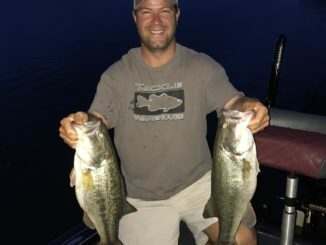 and the Lake Thom-A-Lex Lake Authority, recently opened an educational fishing trail on Lake Thom-A-Lex to help anglers learn how to catch largemouth bass and other sport fish during different times of the year. Michael Hall of Carolina Beach catches a lot of Cape Fear River flounder, including some nice citation flatfish. 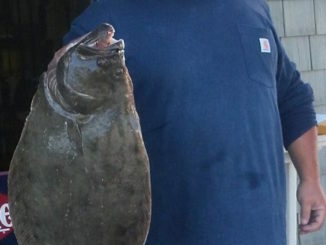 However, his idea of a really nice flounder was upgraded with his most recent catch, when his fishing trip ended with Hall’s personal best flounder, a 9-pound, 2-ounce doormat. 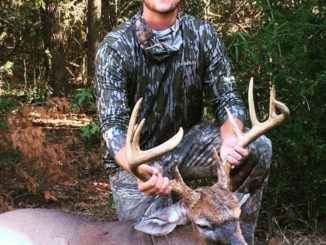 Mack Martin hunts a small piece of property in Laurens, S.C., but he knew the tract held a big deer when he got several trail camera photos of the trophy during the 2016 season. Ever since then, he was determined to kill the 10-point buck, and he finally did it on Oct. 1 when the buck showed up on a morning hunt. At the request of the South Atlantic Fishery Management Council, and working closely with NOAA Fisheries, an interim annual catch limit has been approved that will open the red snapper fishery to limited harvest in 2017. 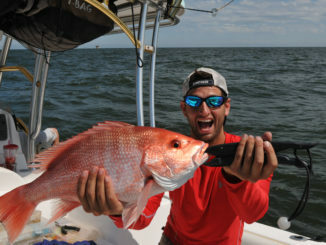 NOAA Fisheries announced today that the red snapper recreational fishery in the South Atlantic region will open for two consecutive 3-day weekends beginning November 3rd. 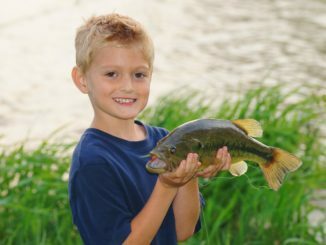 The N.C. Wildlife Resources Commission’s John E. Pechmann Fishing Education Center is offering two free workshops in November. Online registration is required for the workshops, which are open on a first-come, first-served basis. 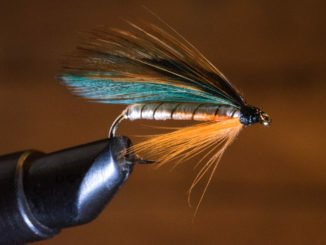 That two different professional anglers can fish a new 12-inch worm completely differently — with both catching solid numbers of quality bass — is a testament to the new Mag 12 Buzz Worm from Mister Twister. When a massive 10 pointer showed up on Andrew Fowler’s trail camera on Sept. 9, he saw a big opportunity. 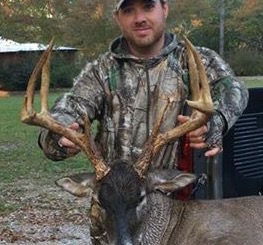 Fowler has killed many big out-of-state bucks that are represented all over his house, but never has Fowler taken a buck of this caliber near his Enoree, S.C. home. Thankfully, Mother Nature brought a wave of unseasonably cool weather to his Spartanburg County 18-acre tract, which helped bring the massive 140-inch buck into range. 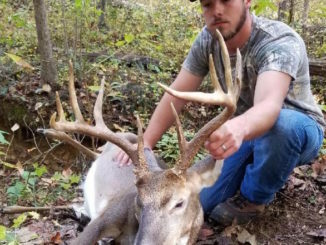 Daniel Jacobs of Concord has known the value of hunting suburban whitetails for a long time, but on Friday, Oct. 13, he was surprised to see a huge buck with a 12-point, non-typical rack standing 10 feet from his stand, a deer he had no clue lived anywhere near his hunting spot of 20 years. 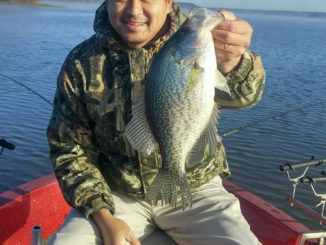 Guide Freddie Sinclair said Jordan Lake once again ranks as one of the top crappie lakes in North Carolina, and the most-effective way to get in on the action in November is by tight-line fishing. 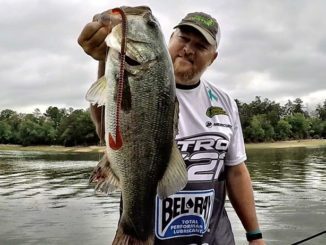 Deer and dying shad factor heavily into the bass fishing on South Carolina’s Lake Monticello this month, according to pro angler Andy Wicker of Pomaria, S.C.